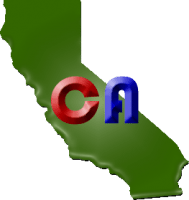 SACRAMENTO, California – Numerous local ballot measures in California were decided in last night’s primary election. Voters in Sacramento were 1.5 percentage points shy of a two-thirds majority needed to pass a five percent indoor marijuana cultivation tax. Nevada County voters overwhelmingly rejected a measure to ban outdoor marijuana cultivation. Meanwhile, Yuba County voters were unwilling to overturn an outdoor cultivation ban or require at least four medical marijuana dispensaries in the county. Voters in the city of Davis resoundingly approved a tax of up to ten percent on recreational marijuana; however, city leaders have repeatedly said they won’t allow medical or recreational dispensaries. Voters in San Jose overwhelmingly rejected a measure that would have undone the city’s local marijuana ordinances that only allow marijuana operations in about 1 percent of the city. BOSTON, Massachusetts — The Massachusetts Supreme Judicial Court heard two challenges Wednesday to the proposed marijuana legalization initiative in Massachusetts. The first lawsuit alleges that activists have misled voters about the initiative, including a claim by opponents that it would allow for the sale of genetically modified forms of marijuana with THC concentrations of 60 percent or higher. That lawsuit also claims the ballot question is misleading because it does not talk about food and drink products containing THC. The second lawsuit focuses on the title of the proposed law, “Marijuana Legalization.” Critics say the title is misleading for a law that does not legalize possession of marijuana by people under 21 and limits its use by people 21 or older. DENVER, Colorado – Neighborhood complaints about pot smell could lead to the first ever revocation of a recreational marijuana grow license in Colorado. Starbuds operates a recreational pot shop, located in Elyria-Swansea neighborhood, with a 240-plant marijuana grow on the second floor. Hearing officer Suzanne A. Fasing recommended the denial of Starbuds license for renewal, citing “adverse effects caused by excessive odors”. Stacie Loucks, the executive director of the Denver Department of Excise and Licenses, has the final say on the matter. Starbuds is located in a mixed-use zone that requires annual renewal of their license. BREMERTON, Washington – Pacific Cannabis owner Kathy Hartwell says her business has been getting inconsistent mail delivery from a new mail carrier. She has the video to prove it. Hartwell believes the mail carrier has a personal distaste for marijuana and has been shirking his duties as a postal employee by forcing her and her employees to needlessly travel to the post office to pick up deliveries he should be making.